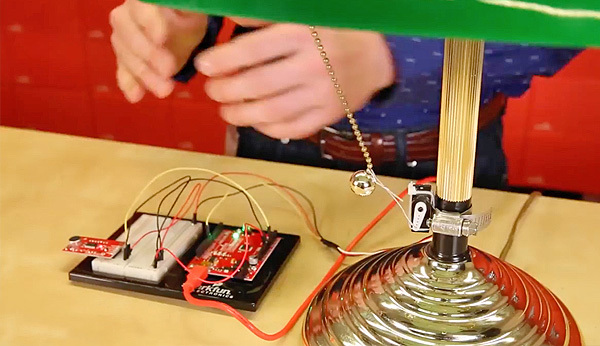 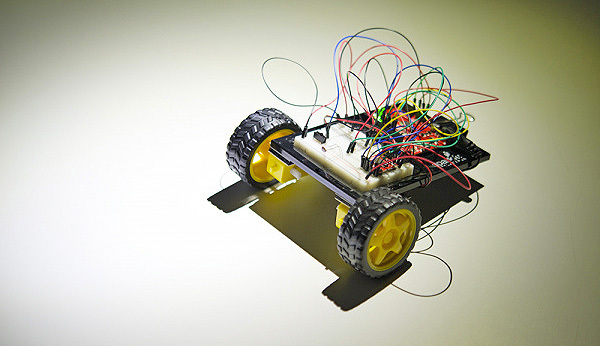 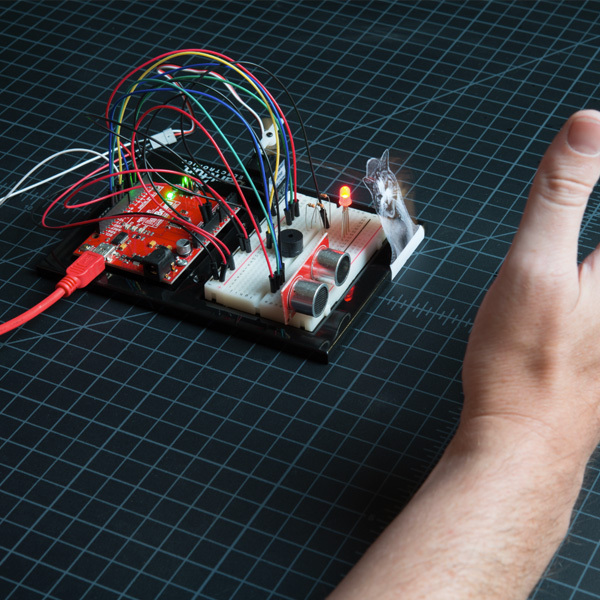 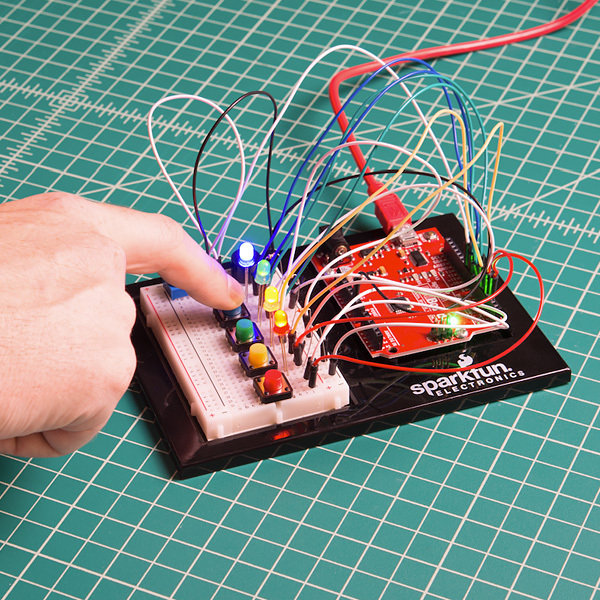 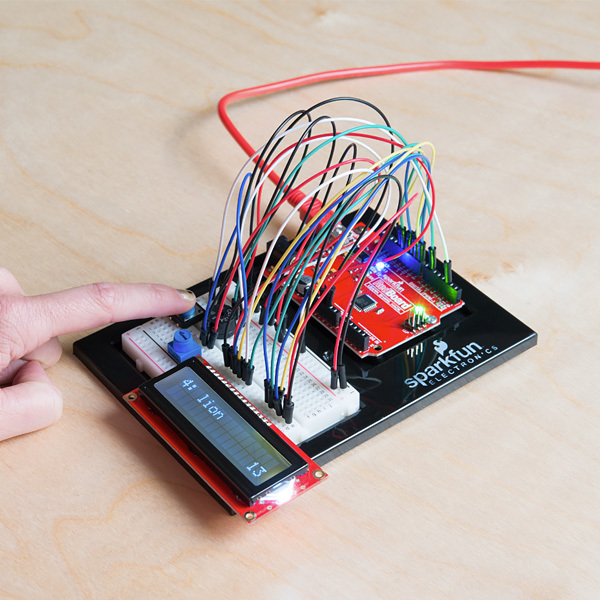 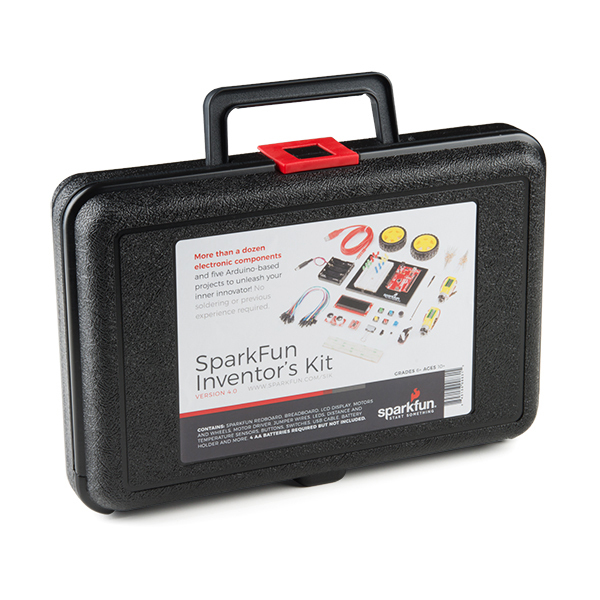 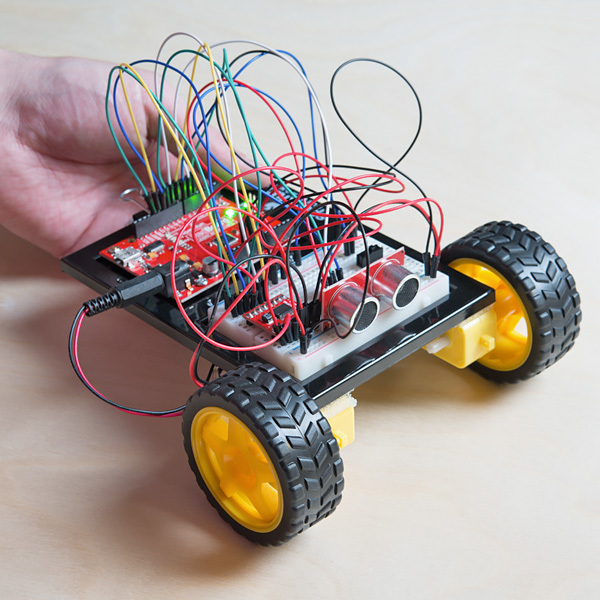 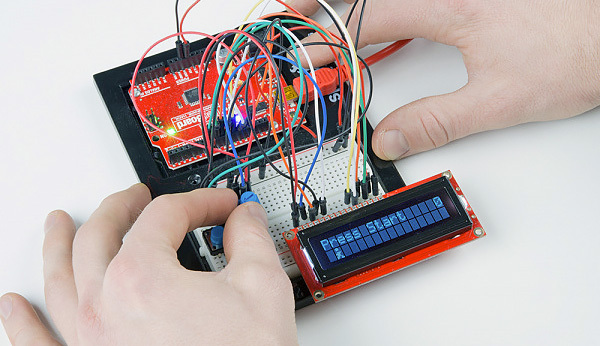 The SparkFun Inventor’s Kit v4.0 has been designed to teach students the basic concepts of electronics and coding in a hands-on manner using SparkFun hardware and Arduino software. 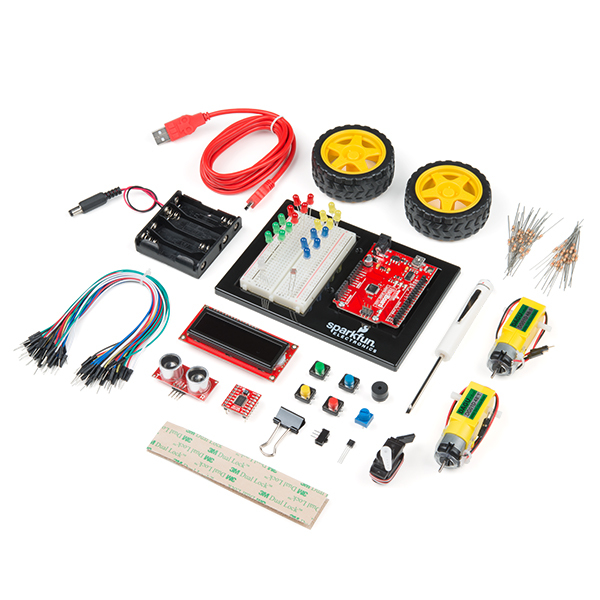 Included in the kit are all the components needed to build 16 circuits and 5 projects as well as a full-color guidebook to walk students through the process. 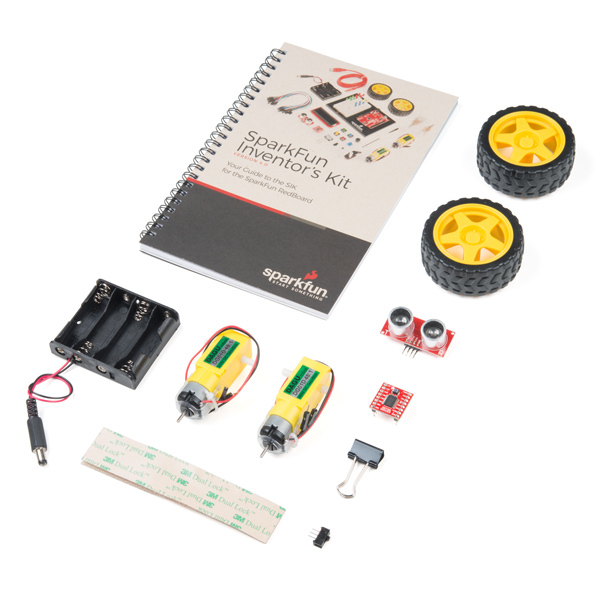 Important: It has recently come to our attention that the guidebook included with the kit contains a few errors that could lead to confusion while trying to program or build certain circuits. 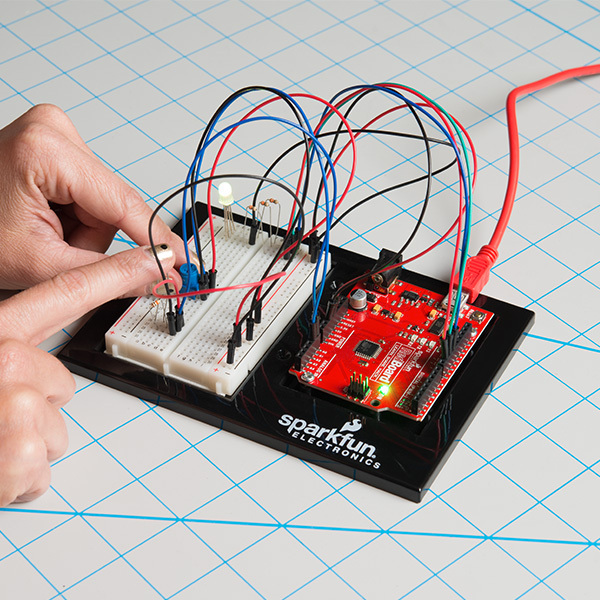 Corrections to these errors can be found here as well as in the digital version of the guidebook.